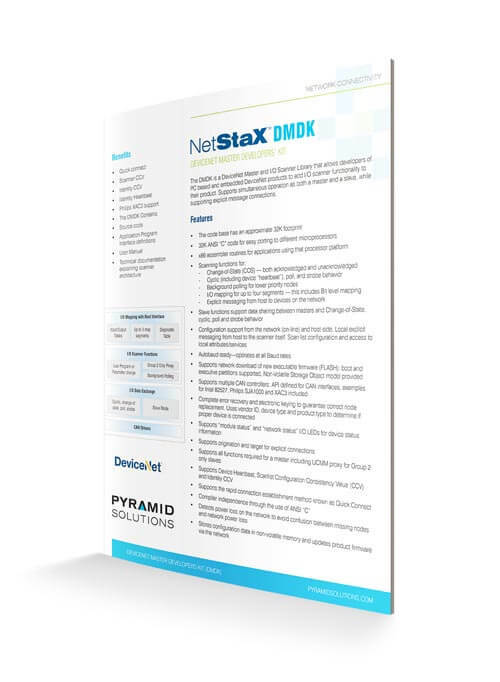 The NetStaX™ DMDK allows users to rapidly integrate field-proven master (client) and I/O scanner source code into DeviceNet™ products. The source code operates in a real-time, multitasking operating system that supports messaging queues, event flag recognition, interrupt handling and timer functions. 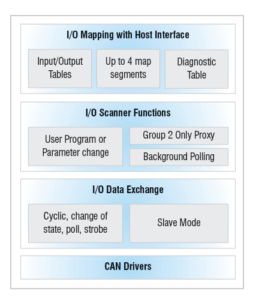 Utilize the DMDK for applications that employ a single microprocessor and DeviceNet channel, and 128K each of FLASH memory and RAM.